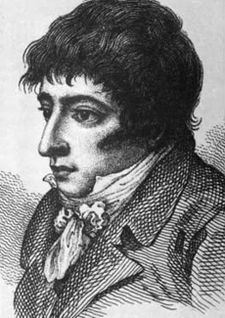 Daniel Mendoza was the first Jewish prize fighter to become Champion of England (1792 to 1795). He stood but 5’7”, but Mendoza was a scrapper. Weighing in a 11.5 stone (160 pounds), he was billed as “Mendoza the Jew.” Mendoza was the only middleweight boxer to win the Heavyweight Championship of the World. It was Mendoza who brought changes to boxing. Before he became popular, men simply stood still and slugged it out. Mendoza introduced the idea of “defense.” Many criticized Mendoza’s tactics, but soon all boxers were using the techniques. He opened his own boxing academy in 1789, which was known as the Mendoza School or the Jewish School. 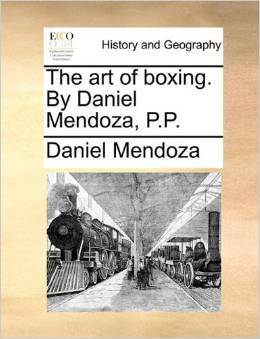 Mendoza also published The Art of Boxing, a book that described his techniques. Mendoza’s first win came over an opponent known as Harry the Coalheaver, whom he beat in 40 rounds. In a 1787 professional fight, Mendoza won both the bout and the patronage of the Prince of Wales (later George IV). Mendoza was the first Jew to have an audience with England’s King George III, which both elevated the Jew in London’s population, as well as a vicious tide of anti-Semitism. From 29 March 1787 edition of The Times, we see a bit of the secrecy behind the English sport of boxing. Generally, only a few knew of the site for a match until the last moment. Prize fights were against the law. Most of the clergy and many of the middle class thought the bare knuckles bouts brutal. The fight was rescheduled for Barnet Racegroun on 17 April. The crowd numbered some 5000. Mendoza easily defeated Martin in 30 minutes. He won a prize of £500 from the Prince. In 1788, 1789, and 1790, Mendoza fought storied matches against Richard Humphries, Mendoza’s mentor. He lost the first bout in 29 rounds, but managed to win the other two in 52 and 15 rounds, respectively. The 1789 match was the first time spectators were charged an entry payment to a sporting event. The fights were hyped by a series of combative letters in the press between Humphries and Mendoza. Mendoza laid claim to the English Championship when Benjamin Brain retired in 1791, but Bill Warr challenged Mendoza’s claim. The two met in Croydon in May 1792. Mendoza’s claim to the title prevailed in 23 rounds. The two met again in 1794. Mendoza dispensed with Warr in a little over a quarter hour. In 1795, Mendoza fought “Gentleman” John Jackson for the championship at Hornchurch in Essex. Jackson was five years younger, 4 inches taller, and 3 stone (42 pounds) heavier. Jackson won in nine rounds. Reportedly, Jackson caught Mendoza long hair, holding Mendoza in place where Jackson could pummel him into submission in ten minutes. Jackson used the win to propel him into Society. Jackson’s Rooms opened at 13 Bond Street, along with the Fives Court off Jermyn Street, where public sparring took place. Born in Aldgate in July 1764, Mendoza, a descendant of Spanish Marranos (Jews coerced into conversion to Christianity) who lived in London for nearly a century, became such a popular figure in England that songs were written about him, and his name appeared in scripts of numerous plays. His personal appearances would fill theaters, portraits of him and his fights were popular subjects for artists, and commemorative medals were struck in his honor. At age 13, he was apprenticed to a glasscutter, but he fought with the employer’s son and was forced from the position. Later, he apprenticed to a Jewish greengrocer and still later to a tea dealer. His fortune rested in his fists. In his 72 years, Mendoza made and spent a fortune. His memoirs were finally published in 1818. After his glory days, he spent time as a pub owner, teaching boxing, and even was hired by the theatre manager John Philip Kemble in an attempt to suppress the Old Price Riots; the resulting poor publicity probably cost Mendoza much of his popular support, as he was seen to be fighting on the side of the privileged. He even spent time in King’s Bench prison for his debts. Mendoza made his last public appearance as a boxer in 1820 at Banstead Downs in a grudge match against Tom Owen; he was defeated after 12 rounds. He died on 3 September 1836. By then, the thrill of the boxing ring had waned. Mendoza left his family of 11 children in poverty. One of Mendoza’s descendants, Rufus Daniel Issacs, became Lord Chief Justice and 1st Marquess of Reading. Hertfordshire 1731-1800 as Recorded in the Gentleman’s Magazine (by Arthur Jones) has an account of the fight with Martin the Bath Butcher. This entry was posted in British history, Great Britain, Living in the Regency, real life tales, Regency era and tagged Benjamin Brain, Bill Warr, Daniel Mendoza, Gentleman John Jackson, Richard Humphries. Bookmark the permalink. I appreciate your reflagging the post. Mendoza was a flamboyant and iconic figure, thanks. Thanks for sharing the link, Sarah. I need to work a similar scene into an upcoming book. I know from the original account that the crowd set up a growl when Jackson grabbed his hair, and the referee consulted another official and agreed it was legal. Also what that one doesn’t say is that Jackson used Mendoza’s own trick against him, that he had written in his book, of thumping him in the kidneys to make him fall down and void his bladder. NOT a pretty scene… And I wish I knew where I’d bookmarked the wretched thing. This is what you get for trying to reorganise bookmarks to pass over to the new computer… I should realise I’m too scatty to organise anything and live with it in the usual mess. I’m so glad you’ve done this article on Daniel Mendoza. I enjoyed researching the evolution of boxing in the Georgian era for an upcoming title of mine. There were no Queensbury rules then – it was Broughton’s rules – all bare-knuckle fighting. Ouch! I used the information in a novel dealing with Jews in King George’s England.